Wait, Nordstrom is Having a Sale? OMG have you heard the big news? 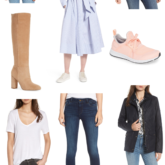 I’m excited to be the first ever blogger to announce that the Nordstrom Anniversary Sale opens to the public today! Can you believe they gave me the exclusive? Such an honor! I’m kidding, obviously. 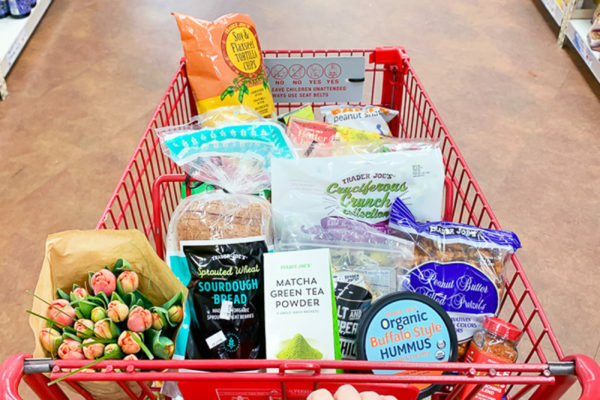 You’ve probably seen some all of your favorite bloggers sharing posts on what to buy over the last week of the pre-sale (myself included) and will continue to see us sharing it over the next week now that it’s open to the public. Yesterday I had lunch with my assistant Beth and she agreed that it felt almost dirty the way sooo many bloggers push their sale picks at us on Instagram day after day. So she suggested that I cut my collage for today and write about this feeling instead. Clearly Beth is much wiser than I am! After lunch I saw Carly’s post from yesterday about how the sale made her want to quit Instagram (#same), so here we are. But what they two of them really inspired was my idea to do a series for the month of August where I post an outfit every week reusing only older clothes from my closet. So if there are any articles of clothing that I’ve posted about in the past that you want me to re-style, let me know and I’ll try to include them! I want to focus on more classic, everyday pieces so keep that in mind. The nature of my job is sharing what’s new and exciting, and I’m definitely not against shopping the sale or treating yourself to a new top or a pair of shoes that makes you feel fab, but there is a lot to be said for minimalism in terms of it’s effect on the environment, your wallet, and the state of the world. My friend Meg wrote an amazing post about how to build a classic minimal wardrobe that I just loved. I wish I could be more like her! So here is what I’ll say about the sale itself. I love Nordstrom and I shop their Anniversary Sale every year because it’s a great time to stock up on fall clothing for a great price. If you do shop it, focus on what you need for the next season and avoid impulse purchases that you might end up regretting later. If you’re in the market for something more expensive like jeans or a Barbour or Patagonia, it really is the best time to buy it. But if you’re shopping just to shop, consider filling your cart with what you would buy and then adding up that total and putting it into a savings account so that when you really want something down the line, you have the money. That’s a good trick I use when I catch myself mindlessly online shopping. 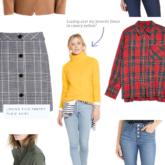 If you are looking to bulk up your wardrobe and have been waiting for my post, I stand behind my original picks from the pre-sale which are still available. If you click on one of the links from my post and see that something is sold out, check back the next day because things often come back in stock. Another note from my original post. I ended up buying these jeans (pictured above) in a size down because I had read to do that but ended up having to go down two full sizes because they have so much stretch! That said, they do look really great when you finally get the correct size. In the photo above, they are still a size too big but I’ll shoot them again for you guys in the size that ended up fitting because they have a really great slimming effect and are super stretchy and comfy. Ya know what else I don’t enjoy about all the bloggers sharing “their” Nsale picks? They all seem to have the same picks. So it’s like they’re being told what to push the heck out of. Yes, I totally agree with this! It’s always the same things-patagonia, tory burch, hanky pankys, etc. Yes, many of these are classic and good “basics” I also don’t find myself needing to replace these every year. I’d rather see Nsale picks that are hidden gems. Recently I have been cleaning out my closet and really want to focus on quality, classic pieces over quick buys. Honestly, as I am closing out my 20’s I feel like I don’t need “going out” clothes and would rather focus on spending money on a quality outfit I can wear inside the office and out. I was just on the Nsale sight and found myself just adding pieces to the cart I didn’t need. I like your idea using that money for something I really need. Julia, please post some cute mom on the go with baby inspired outfits. I’m in a rut. Love this! So refreshing. I follow a handful of bloggers and I really get turned off when I’m told “you need this in your closet” or “every woman must have this”. I love the idea of a minimalist wardrobe!!! Now just to afford the Barbour spring coat of my dreams. Today, I am searching out the convertible car seats for our daughter. Bravo- IG is completely annoying this time of year with the constant push of the sales. Spending money because you have a coupon is still spending money. I love this picture of you!! Such a cute outfit and you look carefree and happy. Enjoy the weekend! Love this post and your honesty! I don’t shop for clothes all that often, and I absolutely rewear clothing for years, so I appreciate seeing a style blogger lean more toward styling older pieces too. It also makes my environmentalist heart very happy! Thank-you…You are always that deep breath, or breathe of fresh air just when we need it most! As I start reading this, I immediately thought of Meg Hall’s blog post and recent Insta story, ha! Amen to all of that! Appreciate you taking and sharing this stance and I wholeheartedly agree it all seems way out of proportion/heavily pushed (but hey, not going to hate on a sale). On a somewhat related note, and I hope you don’t mind me sharing here – my closet recently imploded on itself because I had too much stuff hanging and sitting on the shelves (sign, much?). I found Closet Factory and cannot say enough how happy I am with the redesign and installation of an intelligently set-up closet. It’s like I’ve fallen back in love with my wardrobe because I can actually SEE all my stuff. (I’m now going to send a bill to them for plugging them so emphatically, lol.) To that end, I’ve also been able to clean out a lot of things I no longer wear an am selling or donating. That, and I have a better sense of what I need when I do shop. Yay for cutting clutter and living a lifestyle favoring minimalism! #thankyou for doing this post! At times, it does feel like that damn sale is pushed way to hard! I also love Beth’s idea! I really try to donate one piece of clothing a week, Bc I have so much stuff I don’t wear! 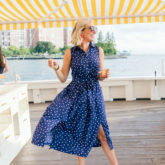 I’d love to see you style white jeans with bathing suit cover ups – I have tons of cute cover ups, but can’t style them to make them look ‘dressy’ enough for grabbing a cocktail or bite to eat! you and your blog! Haha! I love this post, thank you! Also, I really LOVE the idea of reusing outfits as part of a series. Bloggers are shooting the newest clothes, but the rest of us regular people are wearing things again and again, but still love fresh ideas. It’s only my 2nd year shopping the sale and I don’t mind the 50 billion posts clogging up my feed. Why? I get outfit ideas with things I own and I also get a better idea on sizing/quality that the website information doesn’t list. It does seem like coverage was a bit much this year but it did taper off after a few days or I just kept scrolling too fast to notice. I like the idea of you showing older pieces – what about __ ways to wear a certain piece? Dressing a piece up and down so we can see side by side how versatile something can be? I love everything about this post. I can’t wait to see you restyle some classic pieces. THIS! Thank you for posting this. Some bloggers are really turning me off lately with the constantly pushing to buy specific things. The more pushy, the less quality the content is. What we are really look for is outfit inspiration and you can do that for us with older clothes. I read Meg’s post and it really really resonated and I’m glad you are feeling it too. Yes, and after the sale some of the pieces are never to be seen again on their blog! Thank You!! I love the idea of restyling old pieces! I also love the idea of buying classic quality pieces, not just buying something because it’s on sale. I thank you, my checking account thanks you, and Mother Earth thanks you! However, I do have one N Sale question. Do you have the Zella live in leggings? I’m thinking of trying a pair because everyone is raving about them, but I’m also not sure if that’s one item that just gets pushed. Should I just save my money for another pair of lululemon Align pants? Those I know will last for years! Hi! I actually decided to try the Zella leggings last year and I love them. I now have about 4 pairs of leggings and cropped Zella pants. I just ordered the high waist gray cropped ones. I think they are really comfortable and flattering. I wear them to the gym year round and on errands. I recommend them and they be the only item I end up purchasing from the Nordstrom sale. I literally live in my lululemon Align pants so that’s my vote but so many people are talking up the Zella Live Ins that now I think I should go for it too! Tried them and thure not for me. They’re pretty much the exact same as $12 Target leggings-which is fine if that’s what you’re going for, but not what I wanted. I returned my Zella pair and now I’m 1/3 of the way to my next pair of lululemon’s. Thank you! I totally agree…and while I love a good recommendation, or a hidden gem and how to style it, the “push” has been getting greater and greater. 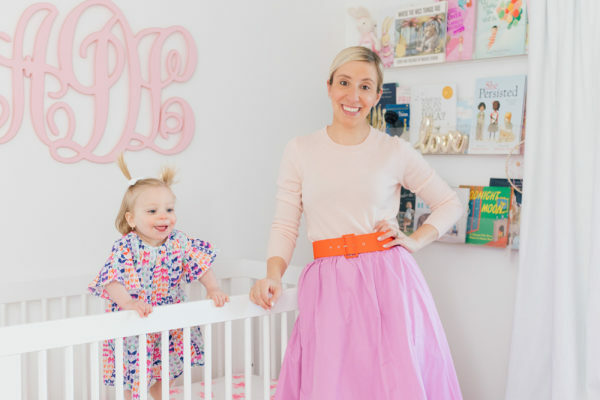 I say this AS a professional fashion writer for a major retailer…but as a seasoned shopper, and mama, I want the REAL deal. One of my favorite bloggers went anti Nordstrom and posted about Wal-mart’s new line! ha! And it was cu-ute! I love your style and am so glad you’re keeping it real, honest and genuine! Thank you so much for sharing this!! I love all of your pieces, and love seeing how you remix old with new. I agree, there is so much to be said about appreciating what we already have. Thank you for being real! This is a wonderful post! Looking forward to seeing your upcoming series. I also agree with the impacts consumerism has on our wallets and the environment in addition to my time. The amount of time we spend “consuming” instead of doing things that fill us up is wasteful as well.